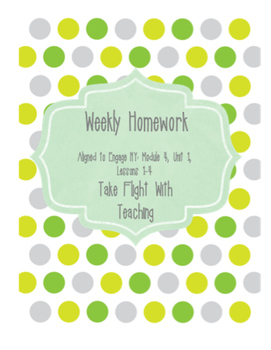 This homework packet is aligned to EngageNY curriculum, Module 4, Unit 1, Lessons 1-4. It does not use any EngageNY materials. It does not include spelling or vocabulary words/exercises. 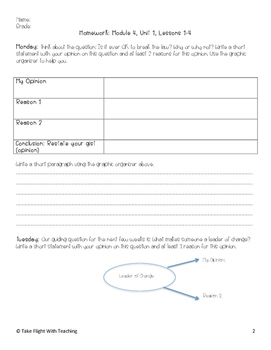 This homework is fairly short but rigorous for your students! If they complete all of the homework necessary, they should do well on the Unit Assessment and Performance Task!